Welcome to the Boys & Girls Club of Nowata website. Since December of 1999 the Boys & Girls Club of Nowata has been in the forefront of youth development, working with young people from disadvantaged economic, social, and family circumstances. Founded as a 501�3 organization and supported by a dedicated and caring Board of Directors, the Boys & Girls Club of Nowata has actively sought to enrich the lives of girls and boys whom other youth agencies have had difficulty in reaching. We are dedicated to ensuring that our community�s disadvantaged youngsters have greater access to quality programs and services that will enhance their lives and shape their futures. In a world that has never seemed more threatening and devoid of promise for a disproportionate number of America�s children, the Boys & Girls Club of Nowata provides a tangible measure of hope. The Club offers young people what they need and want most; adults who respect and listen to them; a safe environment where they can have fun and be themselves; and interesting, constructive activities that channel youthful energy into challenging pursuits. A youth development strategy underlies all Boys & Girls Club programs and fosters a sense of belonging, competence, usefulness, and influence that builds self-confidence and self-esteem. The Boys & Girls Club of Nowata is part of a nationwide affiliation of local, autonomous organizations and Boys & Girls Clubs of America working to help youth of all backgrounds develop the qualities needed to become responsible citizens and leaders. The Club employs a full-time Chief Professional Officer, a Program Director, and 5 other part-time Youth Development Professionals who deliver a broad range of programs in five core program areas: Character & Leadership Development, Education & Career Development, Health & Life Skills, The Arts, and Sports, Fitness & Recreation. Today hundreds of boys and girls in the Nowata area are considered to be at risk and in need of taking advantage of the programs, activities, and services provided by the Boys & Girls Club of Nowata. They benefit from trained, caring, professional staff and volunteers who help young people take control of their lives, envision productive futures, and reach their goals. 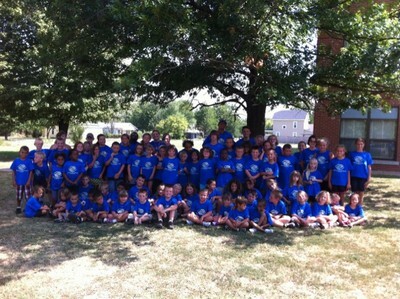 The Boys & Girls Club of Nowata currently serves in excess of 1400 area youth ages four to eighteen. Average attendance figures for Club-based programs exceed 100 youth daily. In addition to the Club-based programs, the Club operates baseball, softball, basketball, wrestling, martial arts and flag football leagues that serve approximately 300 area young people. The Boys & Girls Club of Nowata has established a permanent facility in the old Nowata Middle School. REAP and CDBG grants in the amount of $100,000 have been secured to aid in the renovation of the building and the administrative offices were moved to the new location at the end of October, 2003. Financial support of the Club comes from many directions. Grant income currently provides for the majority of the Club�s needs, however, efforts are underway to become less grant-reliant. As part of their efforts to achieve this goal, members of the Board of Directors make personal contributions, conduct special event fund-raisers, and solicit contributions from numerous individuals, businesses, foundations, and government sources.